One quarter of residents in long-term care facilities (LTCFs) have a diagnosis of CHD or stroke and over half use at least one preventative cardiovascular medication. There have been no studies that have investigated the longitudinal change in secondary preventative cardiovascular medication use in residents in LTCFs over time. 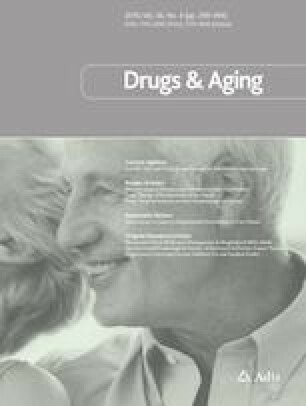 The aim of this study was to investigate the change in cardiovascular medication use among residents with coronary heart disease (CHD) and prior stroke in nursing homes (NHs) and assisted living facilities (ALFs) in Finland over time, and whether this change differs according to dementia status. Three comparable cross-sectional audits of cardiovascular medication use among residents aged 65 years and over with CHD or prior stroke in NHs in 2003 and 2011 and ALFs in 2007 and 2011 were compared. Logistic regression analyses adjusted for gender, age, mobility, cancer and length of stay were performed to examine the effect of study year, dementia and their interaction on medication use. Cardiovascular medication use among residents with CHD (NHs: 89% vs 70%; ALFs: 89% vs 84%) and antithrombotic medication use among residents with stroke (NHs: 72% vs 63%; ALFs: 78% vs 69%) declined between 2003 and 2011 in NHs and 2007 and 2011 in ALFs. Decline in the use of diuretics, nitrates and digoxin were found in both groups and settings. Cardiovascular medication use among residents with CHD and dementia declined in NHs (88% [95% CI 85–91] in 2003 vs 70% [95% CI 64–75] in 2011) whereas there was no change among people without dementia. There was no change in cardiovascular medication use among residents with CHD in ALFs with or without dementia over time. Antithrombotic use was lower in residents with dementia compared with residents without dementia in NHs (p < 0.001) and ALFs (p = 0.026); however, the interaction between dementia diagnosis and time was non-significant. The decline in cardiovascular medication use in residents with CHD and dementia suggests Finnish physicians are adopting a more conservative approach to the management of cardiovascular disease in the NH population. The online version of this article ( https://doi.org/10.1007/s40266-019-00656-x) contains supplementary material, which is available to authorized users. NJ is supported through an Australian Government Research Training Program Scholarship. ECKT is supported by an NHMRC-ARC Dementia Research Development Fellowship (APP1107381). JSB is supported by an Australian National Health and Medical Research Council Dementia Leadership Fellowship. Natali Jokanovic, Hannu Kautiainen, J. Simon Bell, Edwin C. K. Tan and Kaisu H. Pitkälä declare that they have no potential conflicts of interest that might be relevant to the contents of this manuscript. Ethics approval was obtained for all three studies by the Helsinki University Central Hospital Ethics Committee. The study was registered with the Monash University Human Research Ethics Committee. Written informed consent was obtained from residents and/or their closest proxy to participate in each study. American Heart Association and American Stroke Association. Heart disease and stroke statistics 2017—at a glance. 2017. https://healthmetrics.heart.org/wp-content/uploads/2017/06/Heart-Disease-and-Stroke-Statistics-2017-ucm_491265.pdf. Accessed 21 Jan 2018. Australian Institute of Health and Welfare. Australia’s health 2016. 2016. https://www.aihw.gov.au/getmedia/9844cefb-7745-4dd8-9ee2-f4d1c3d6a727/19787-AH16.pdf.aspx?inline=true. Accessed 21 Jan 2018. Centre for Disease Control and Prevention. Long-term care providers and services users in the United States: data from the national study of long-term care providers, 2013–2014. 2016. https://www.cdc.gov/nchs/data/series/sr_03/sr03_038.pdf. Accessed 21 Jan 2018.
WHO Collaborating Centre for Drug Statistics Methodology. Anatomical Therapeutic Chemical (ATC) Classification Index. 2016. https://www.whocc.no/atc_ddd_index/. Accessed 21 Jan 2018.